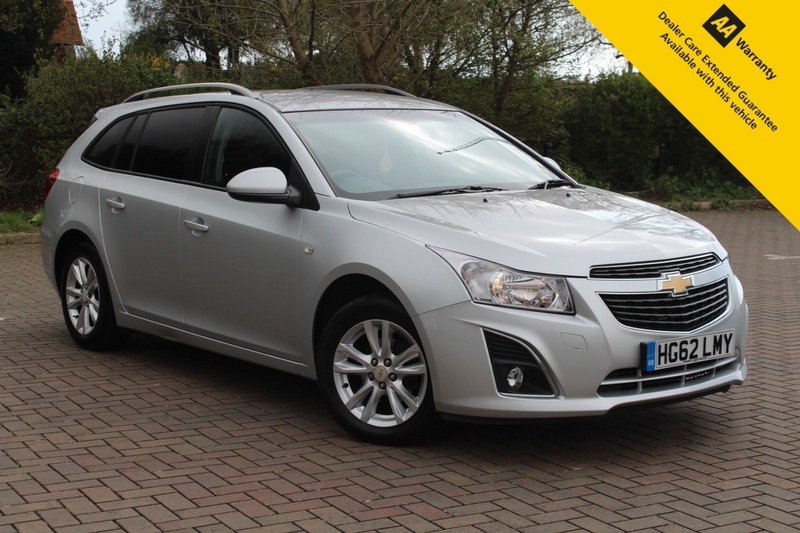 Here for sale at Leigh Cars Ltd we are delighted to present this impressive low mileage 2 owner example of the popular and versatile Chevrolet Cruze 1.8 LT Automatic Estate finished in popular metallic silver. This particular example comes with a superb full service history. As part of our thorough safety check preparations the vehicle comes with a brand new service and a brand new advisory free MOT - expiry April 2020 with new rear brake pads fitted. The LT model level comes with some great specification including, mp3 connection + USB, air conditioning, parking sensors, electric windows + mirrors, alloy wheels, 2 keys + much much more. With a large boot this would be an ideal family car as it is both practical and versatile with lots of space for those family adventures. A petrol automatic 6 speed gearbox that is smooth and a pleasure to drive so you can concentrate on everything else that is going on around you. This vehicle will cost £230 a year to tax and produces an average MPG of 39.2, so for a large petrol automatic isn't going to cost a fortune.